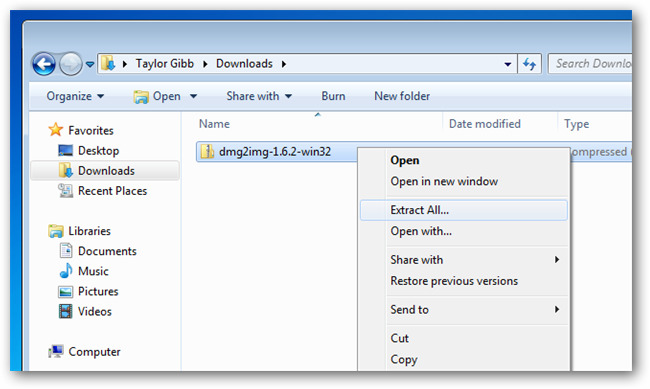 How to Convert DMG Files to ISO Files on Windows. 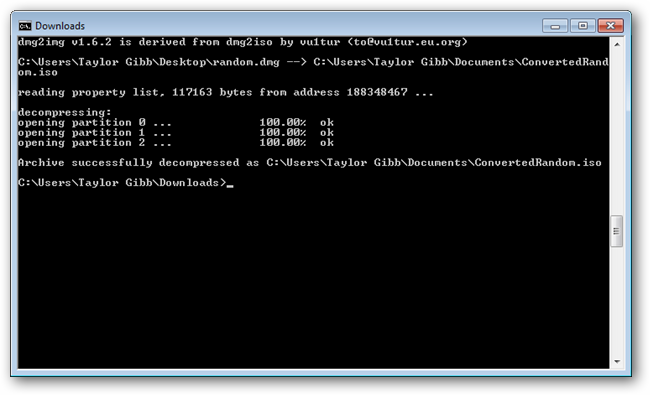 Home / Unlabelled / How to Convert DMG Files to ISO Files on Windows. The DMG image format is by far the most popular on Mac OS X. 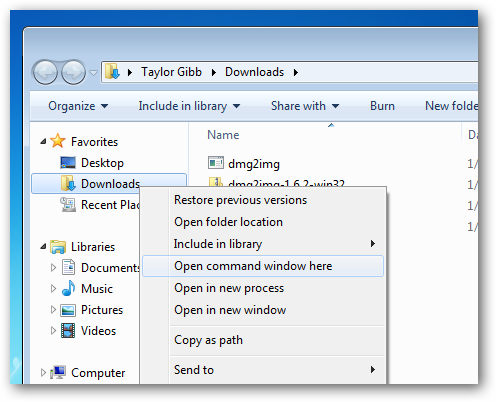 Here in this article we will discuss on how to convert a DMG file to ISO file so that it can be mounted on Windows OS. 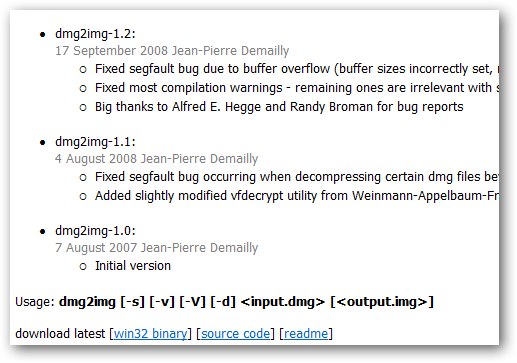 First head over to this url “http://vu1tur.eu.org/tools/” and download a copy of dmg2img by clicking on win32 binary link. Once the file is downloaded, go to your Download folder and Right click on the file and then select ‘extract all’ from the context menu. You will now be asked to select the destination of the extract file, choose download folder itself. Now hold down shift key and right click on your ‘Downloads’ folder and select ‘Open command window here’ from the context menu. Now use the following command syntax to convert your file. Hit Enter and your file will be converted. Now check your document folder, an ISO file wood be added. 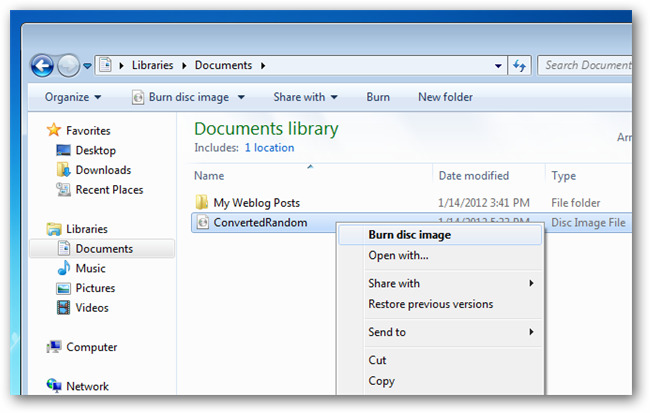 Now you can burn this ISO file onto a disk.